Your Company’s filter press or clarifier needs to be replaced but this year’s capital improvement budget just is not enough to cover the cost of new equipment. Let Water & Wastewater Equipment provide you with an effective solution with a reconditioned piece of equipment. After looking at the pictures on the different web sites, you see what appears to be equipment in need of repair. 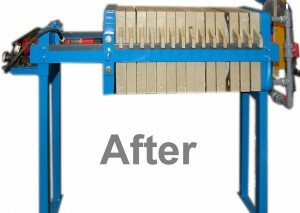 Well look at how WWE has refurbished this filter press. 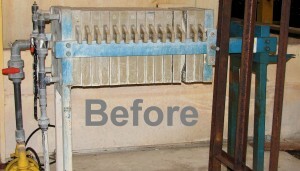 Our quality control team will take the equipment apart and restore it to top operating condition. Let one of our qualified sales team members discuss this great alternative to a new piece of equipment.